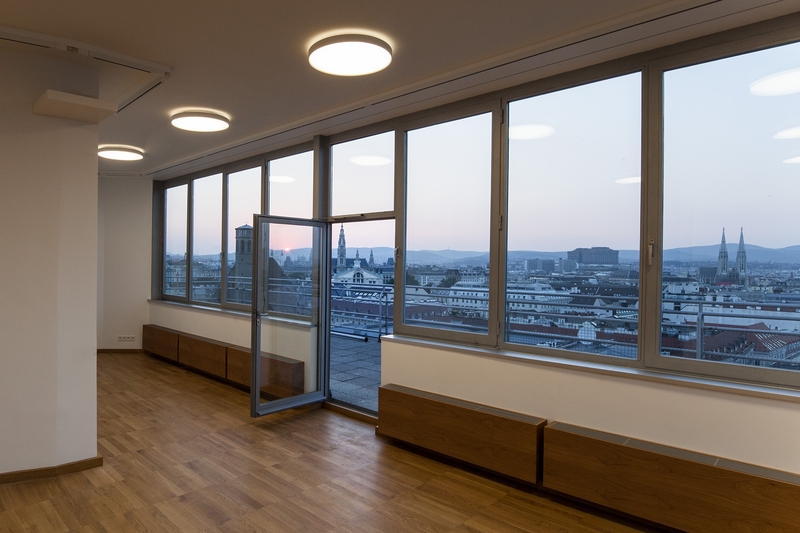 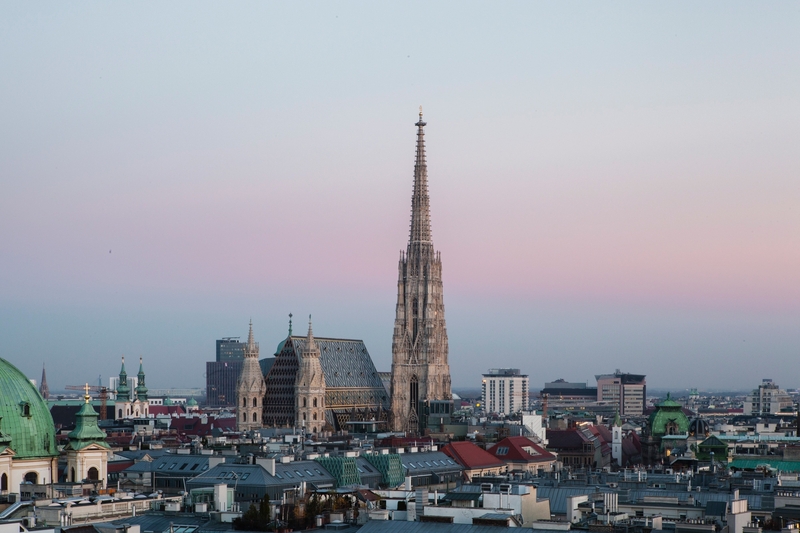 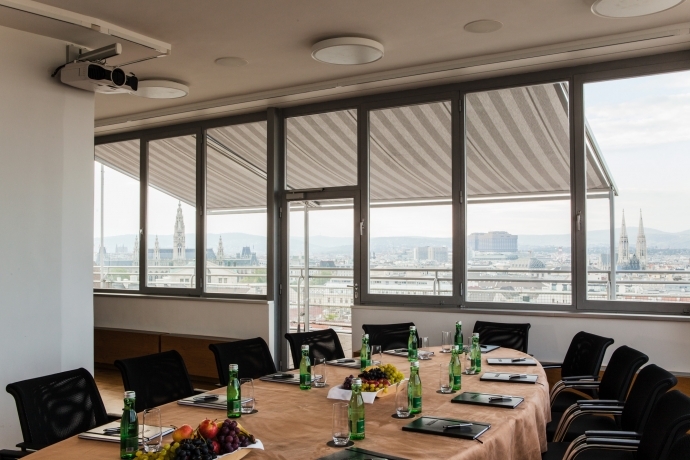 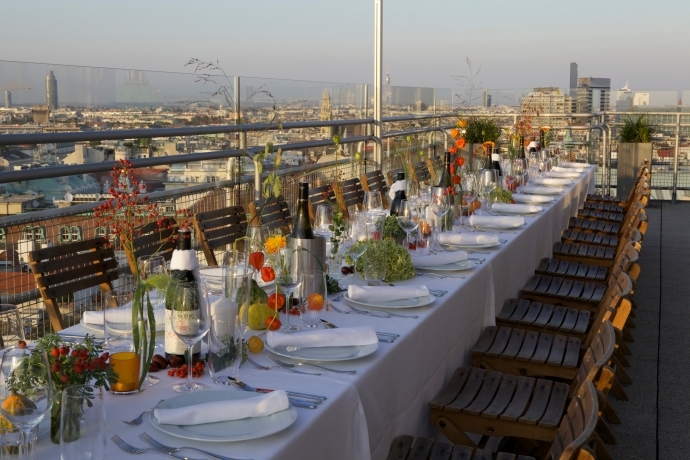 On the 14th floor of the first high-rise building in Vienna, we offer an exceptional setting for exclusive events on 45m² of indoor space and 86m² of terrace. The purist design of the thirties and the unparalleled views of Vienna are particularly impressive. 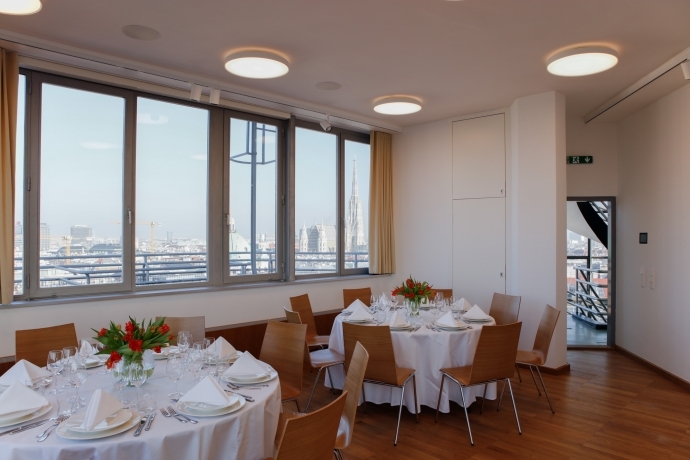 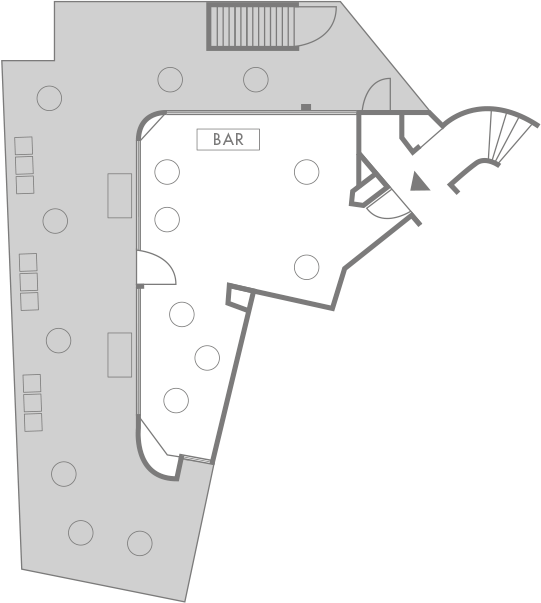 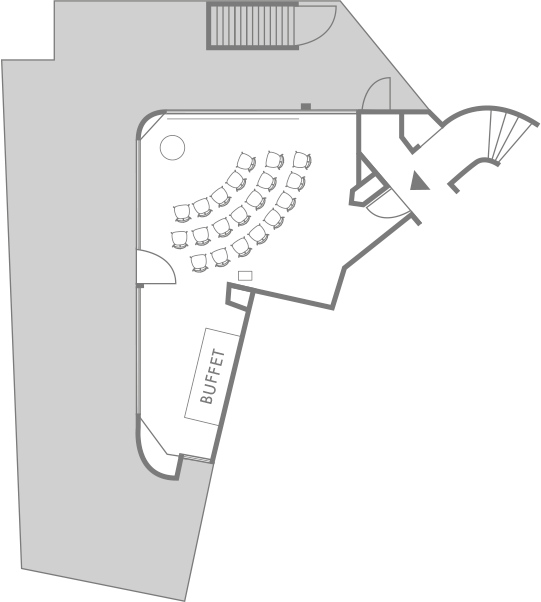 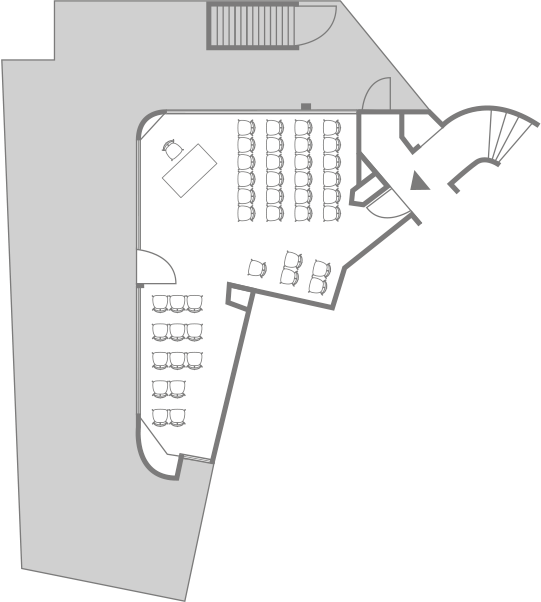 The perfect setting for events at the highest level, e.g. 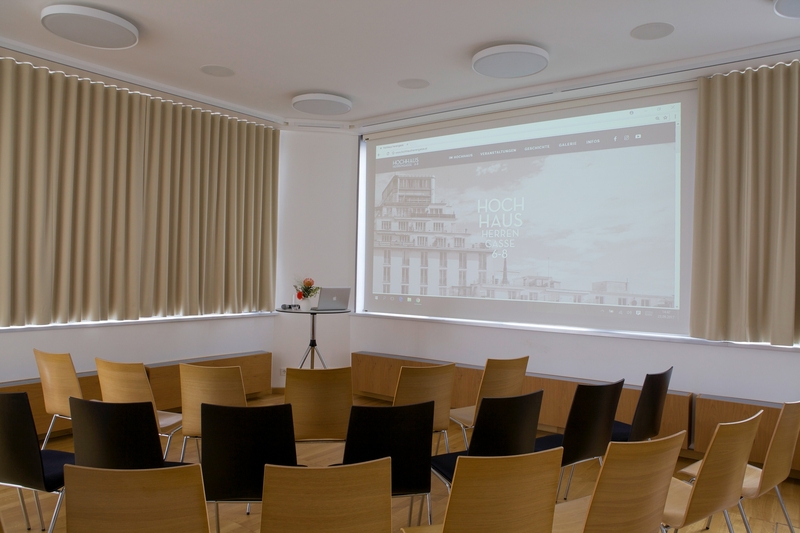 press conference, management meetings, presentations, marketing events, exams, workshops, seminars, lectures, readings, company celebrations, receptions, gala diners, TV talks, photo and film shootings, fashion shows and more. 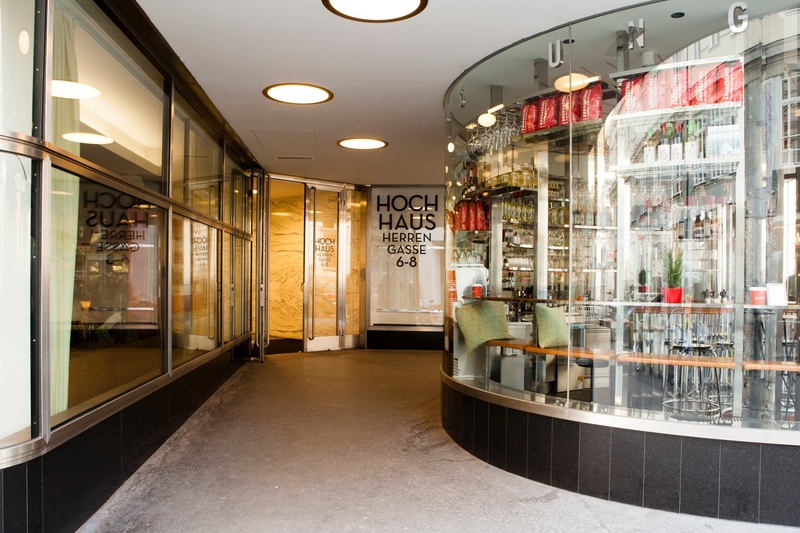 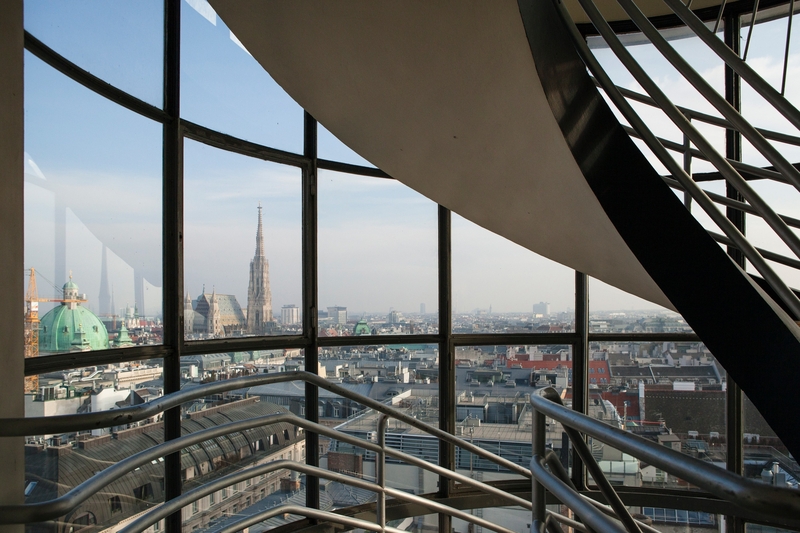 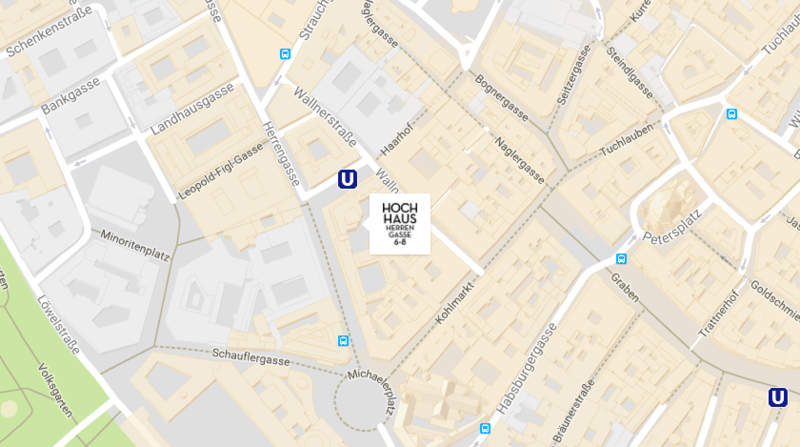 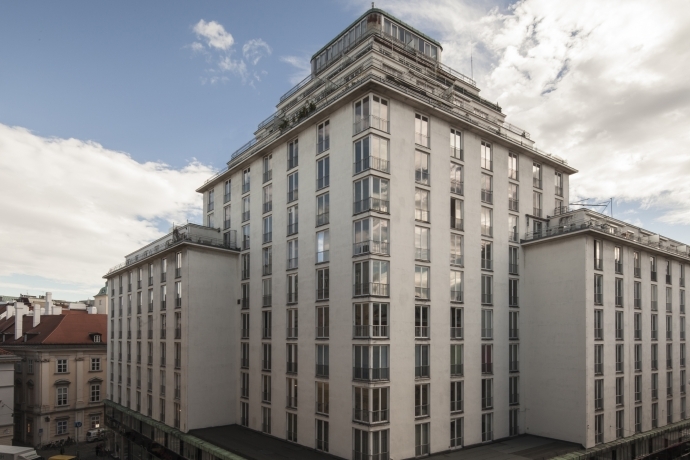 We would be delighted to welcome you to the Hochhaus Herrengasse! 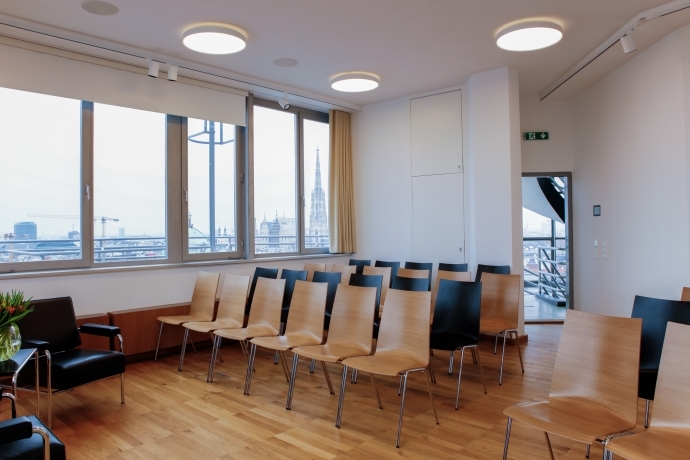 We are happy to prepare a non-binding offer, specially adapted to you and your wishes.